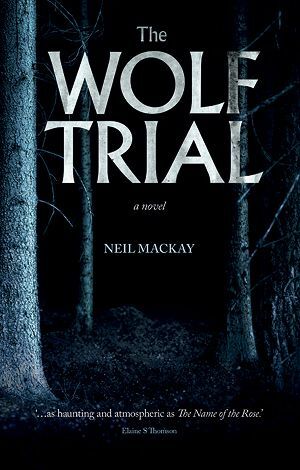 Set in Bideburg, Germany in 1563 this historical epic centres on the trial of serial killer Peter Stumpf, a husband and father whose cannibalistic murders led him to be tried as a werewolf. Rather than the predictable course of examining the manner and motivation of Stumpf's decades of killing, MacKay exposes the brutal violence of seemingly ordinary folk. In a novel not for the faint hearted, characters witness and perpetrate horrific acts of violence. Individuals are butchered, castrated, burnt or skinned alive; children are trampled by religious armies and women raped on mass, often in front of crowds who bay for more. The novel is recounted by Willie Lessinger, apprentice to lawyer and rationalist Paulus Melchior, who leads the trial. MacKay is a gripping storyteller and the tale is most enjoyable when the court rings with Paulus's clever rhetoric, championing logic over religious superstition, or when he stages a daring escape in a blaze of gunfire. In a story interspersed with dark fables of infanticide and darker truths about crimes committed in the name of Christianity, Paulus and Willie's friendship and endeavours for justice are a lone beacon of goodness in book of horrors. Out Thu 21 Apr, published by Freight.